Cargills Bank Social Media Banking, a fun way to Bank through Facebook! I. Pay your friends through Facebook and receive funds to your account through Facebook. Set instant and scheduled transfers to any Cargills Bank Account or any other Bank Account. Your account balance and account history could be viewed through Cargills Bank Social Media Banking. Use the same Cargills Bank Internet Banking / Mobile Banking credentials (user ID and password) to login to Cargills Bank Social Media Banking. I. How do I register & login? You have to first register with Cargills Bank Internet Banking or Mobile Banking application to access Cargills Bank Social Media Banking. Use the same credentials (user ID / password) to log into Cargills Bank Social Media Banking. 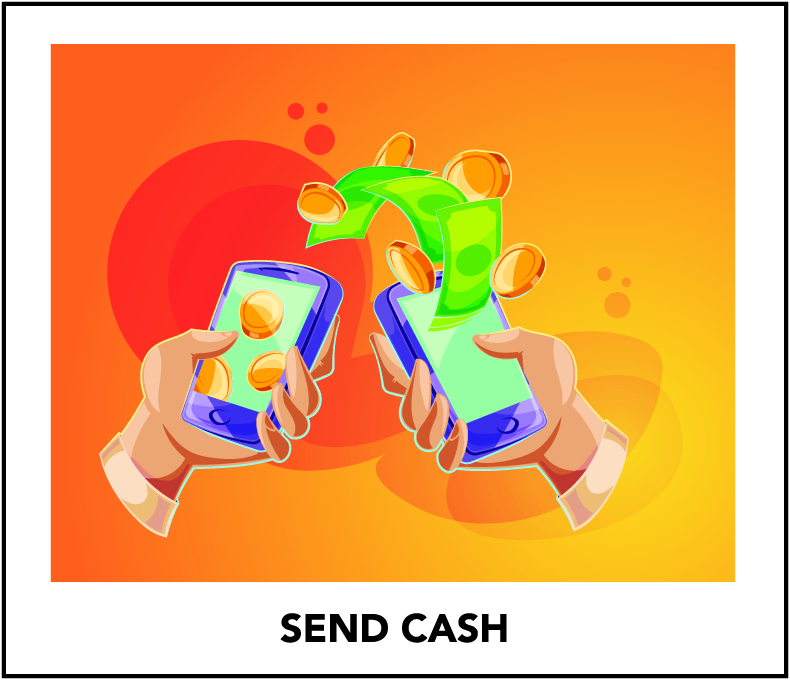 Send cash from wherever you are, by entering the beneficiary’s mobile number, NIC number and the amount you need to send. Transfer funds to Other Bank Account using “CEFT” enables you to transfer funds instantly. A transaction will be completed within 30 seconds and the facility is available 24×7, 365 days of the year with no cut off time. You can set real time and schedule transfers from your account to any other bank account maintained at a CEFTS member banks/institutes island wide with three options available – Transfer Now, Transfer Later and Set up Recurring Transfer. III. Can I pay my friends through Cargills Bank Social Media Banking? When your friend need money and you really want to help them. Cargills Bank Social Media Banking is at your service. V. How secure is Cargills Bank Social Media Banking? To ensure security of your account information and all your transactions, a number of security features have been built into Cargills Bank Social Media Banking. One time password for all transactions – For each transaction, you need to authenticate the transaction using OTP that is sent to your registered mobile number with Cargills Bank to verify the transaction is requested by you.